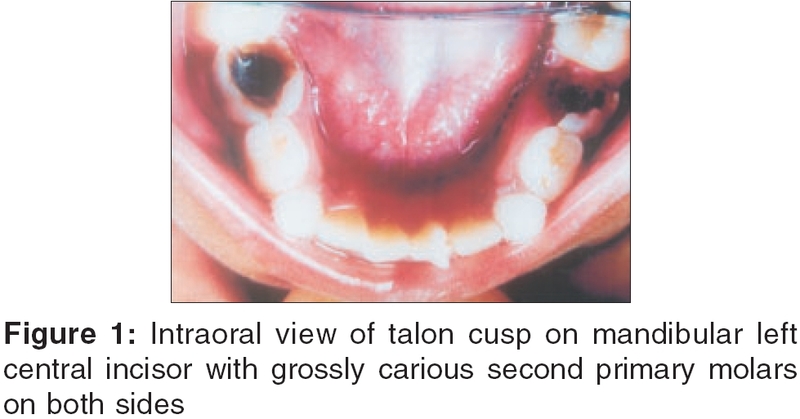 Talon cusp is an uncommon anomaly seen both in primary and permanent dentition. In most instances they are associated with other clinical problems such as occlusal interferences, poor esthetics and caries susceptibility. Management of such instances requires a comprehensive knowledge of the clinical entity as well as the problems associated with it. Here, we present two cases of talon cusps. Multiple supernumerary teeth are usually associated with syndromes. On the contrary, multiple supernumerary teeth without association with any syndromes are very rare. This article presents a report of two cases with multiple supernumerary teeth not associated with any syndrome and emphasizes the routine advice of orthopantomogram whenever a single supernumerary tooth is detected irrespective of whether the patient has any syndrome or not. Delayed development and eruption of all the permanent molars is a rare phenomenon, which can cause disturbance in the developing occlusion. The eruption of permanent first and second molars is very important for the coordination of facial growth and for providing sufficient occlusal support for undisturbed mastication. In the case described, the first permanent molars were delayed in their development and were seen erupting at the age of nine and a half years. Severe disparity between the left and the right side of the dentition with respect to the rate of development of molars were also present. Case report showing classical odontoclastoma along with in vivo illustrations of the affected tooth and intral oral periapical radiograph. Most of the supernumerary teeth are located in anterior maxillary region with their presence giving rise to a variety of clinical problems. Occurrence of supernumerary supplemental mandibular central incisor is a rare phenomenon. This case report describes a rare case of supernumerary supplemental mandibular central incisor which had erupted labially causig mild crowding in the anterior midline region. Incontinentia pigmenti or Bloch-Sulzberger syndrome, is a rare X linked dominant disorder with characteristic skin, hair, eye, dental and neurological abnormalities commonly affecting females. This article reports the clinical features and management of a 11 year old girl diagnosed with Incontinentia pigmenti. Rubinstein Taybi syndrome or Broad Thumb and Hallux syndrome is a genetic multisystem disorder characterized by facial dysmorphism, growth retardation and mental deficiency. 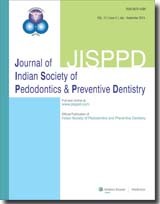 A ten-year-old boy who had come to the Department of Pedodontics, Ragas Dental College, Chennai, with the chief complaint of unaesthetic appearance with extra teeth revealed delay in the developmental milestones. The patient appeared to be hyperactive and mentally retarded. Extra oral features revealed distinctive facial appearance with a broad fore head, hypertelorism, broad nasal bridge and beaked nose. Intra oral features observed were talons cusps in the upper central and lateral incisors, mesiodens, carious teeth and plaque accumulation. Since the patient was hyper active and mentally retarded, the dental treatment was done under GA. The treatment plan and dental management of this patient are discussed in this case report. Nasopalatine duct cyst is an intraossseous developmental cyst of the midline of the anterior palate. Management of a case of nasopalatine duct cyst in a 10 yr old male child is reported. Coexistent partial anodontia and supernumerary tooth in the lower jaw is a very uncommon condition. Very few cases have been reported in the literature of this condition, etiology of which is still obscure. 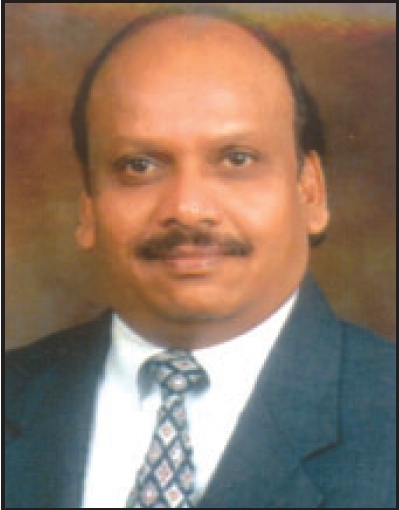 Presented here is a rare case of simultaneous presence of single supernumerary tooth together with missing permanent central incisor teeth in the lower jaw without any associated systemic condition or syndrome. Ankylosis of primary mandibular molars has been routinely found to be associated with various developmental disturbances in permanent dentition such as aplasia of the succedaneous tooth, ectopic eruption of the premolar, infraoclusion of the ankylosed tooth leading to tipping of the first permanent molar etc. This article describes a rare case where there was ankylosis of a mandibular second primary molar along with congenitally missing first permanent molar which resulted in the transposition of second premolar. Treatment options and prognosis of the case are discussed. Supernumerary teeth are rare anomalies of the maxillofacial complex that are more common in the maxilla than in the mandible. This article reports a case of an impacted supplemental type of supernumerary tooth in the mandibular arch, in the left premolar region. The etiology, types and treatment alternatives are discussed. Depending on tooth location, usually, dens evaginatus describes an anomaly of posterior teeth and talon cusp as an anomaly of anterior teeth. From the standpoint of developmental, morphological and histological considerations dens evaginatus is a more acceptable term to use and talon cusp should be considered as a subset of dens evaginatus. It mostly occurs as an isolated finding rather than an integral part of any disorder. Two cases of dens evaginatus along with other dental anomalies are reported. Osteogenesis imperfecta is an inherited disorder of the connective tissue. The extreme bone fragility seen in patients suffering from osteogenesis imperfecta pose a series of problems with regard to behavior management and rendering of quality dental treatment. Presented here a case of a four year old child suffering from osteogenesis imperfecta.